A former county attorney from northeast Kentucky was disbarred Thursday for paying voters to cast ballots for him in a 2006 election and then lying about it to a grand jury. The Kentucky Supreme Court found that one-time Bath County Attorney Donald A. “Champ” Maze’s conduct proved so egregious, he should be permanently banned from practicing law, even though he had no prior disciplinary record. Chief Justice John D. Minton, writing for the court’s majority, said Maze abused a position of power and trust by using his office to corrupt both the voting process and the judicial system. “Any layperson should know better, and so much more should a lawyer with over 20 years of experience, 12 of which included prosecuting criminals as the County Attorney,” Minton wrote. Even though Japan’s adult guardianship system may be necessary to protect the assets of those who need additional attention due to their mental state, stripping them of their suffrage is an excessive infringement of rights that goes against international trends, experts said. Thursday’s ruling that the Public Office Election Law takes away the voting rights of the disabled and the elderly with dementia is “unconstitutional” cast the spotlight on the fact Japan lags behind the global community in protecting the rights of those with certain disabilities. 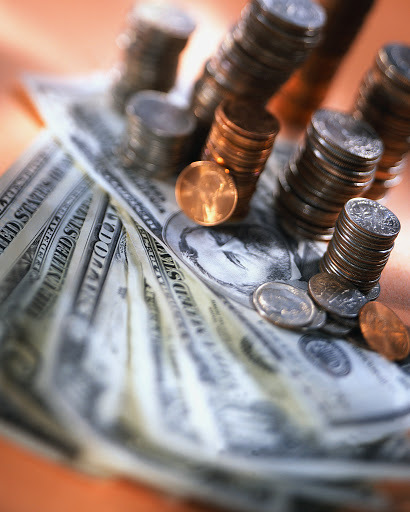 The guardianship scheme was first introduced in 2000 to help people with cognitive disabilities manage their assets. It replaced a system dating from the Meiji Era that prevented those declared incompetent from having control over their own property and was often criticized as discriminatory because details of their disability was officially entered into the family registry. “Times have changed since the Meiji Era, when the old system was established, and (the adult guardianship system) was created with a new principle to respect the elderly and the disabled (to allow them) to make decisions by themselves and to create a society in which they can live normal lives,” Arai said. The Yomiuri Shimbun Is it unconstitutional to take away the voting rights of adults who are placed under guardianship due to a disability or dementia? 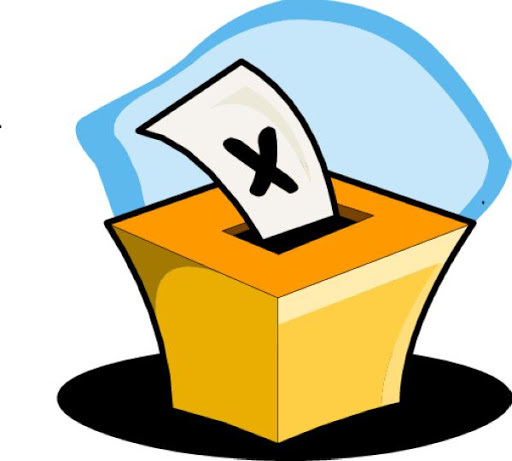 The Public Offices Election Law stipulates that when an adult is placed under guardianship, he or she loses the right to vote. The first judicial ruling on this regulation will be handed down Thursday at the Tokyo District Court. Is it legal for the adult guardianship system, which is supposed to protect the rights of the handicapped, to deprive the individuals subject to the system of their voting rights? Lawsuits similar to Thursday’s case are currently under way at three other district courts. “I want to vote again with my father and mother,” said 50-year-old Takumi Nagoya from Ushiku, Ibaraki Prefecture, on Jan. 24. She clearly voiced her opinion in the No. 103 courtroom at the Tokyo District Court when presiding Judge Makoto Jyozuka asked her to speak at the close of a 1-1/2-year-long lawsuit. 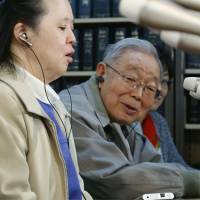 According to her father, Seikichi, 81, although Takumi suffers from Down syndrome and has a moderate intellectual impairment, she can read simple kanji and has a job labeling sundry goods. Since turning 20, she has always read official election newsletters and had gone to vote. When an official at the voting station thanked her for taking the trouble, Takumi looked proud, her father said. Seikichi decided to use the adult guardian system because he was worried about property management for Takumi, and was appointed in February 2007 as her guardian by a family court. Since then, Takumi has not been able to vote. Seikichi has apologized to her, saying he meant to protect her rights but in the end her rights were taken away. “It’s OK,” Takumi reportedly said to him. The guardian system started in 2000 to replace the former incompetency system, with the aim of supporting people who do not have adequate capacities to make judgments due to a disability or dementia. There are three types of arrangements according to a person’s abilities: guardianship, curatorship and assistance. Only the guardianship category effectively requires wards to abdicate their right to vote. About 136,000 people had guardians as of the end of 2012. A Hennepin County judge on Thursday ruled that a man under guardianship may vote, saying the Minnesota Constitution’s removal of voting rights from people with guardians violates the U.S. Constitution. Judge Jay Quam’s order is a victory for Brian W. Erickson, who suffers from schizophrenia and is under guardianship but remains high-functioning. It’s the second court ruling in the past two months that affirms voting rights among people who have court-appointed decision-makers. An attorney for Erickson’s guardian this year challenged Article VII of the state Constitution that bans a number of classes of people from voting, including those “under guardianship.” That article contradicts language in state statutes that guarantees wards’ right to vote unless it’s taken away by a judge. An estimated 22,000 Minnesotans have guardians because of advanced dementia, mental illness and other disabilities. In a 26-page order, Quam ruled that the language in the Minnesota Constitution is too broad. Rep. Mary Kiffmeyer (R-Big Lake) sponsors HF2188 that would clarify voting rights with regard to those under guardianship. She said the goal is to ensure that individuals who are not competent to vote are denied eligibility, while competent individuals aren’t denied. The impetus for the bill stems from a 2010 incident in Crow Wing County in which a group of mentally disabled adults were allegedly manipulated into voting by their caregivers. The father of one of the affected individuals claims in an affidavit that his son is not mentally competent to vote and thus should have been denied. Under a 2003 law, individuals under guardianship are presumed to be eligible to vote unless a court declares them otherwise. Kiffmeyer’s bill would reverse this by delineating between individuals under “limited guardianship,” who would be presumed to be eligible, and those under regular guardianship, who would be presumed to be ineligible. The House Government Operations and Elections Committee approved the bill and referred it to the House Judiciary Policy and Finance Committee. Sen. Paul Gazelka (R-Brainerd) sponsors the companion, SF1753, which awaits action by the Senate Local Government and Elections Committee. If you’re trying to avoid being disenfranchised by your state’s voter ID law, it’s usually a good idea to avoid being a minority, a college student or poor. As it turns out you also probably shouldn’t be 91-years-old and have trouble standing for a long period of time. Lasater told The Daily News Journal that she has voted and worked in campaigns for 70 years. She recently moved to Murfreesboro and on Wednesday registered to vote at the local election commission. A new law requires voters to show a photo ID at the polls. Since Lasater doesn’t have a photo on her driver’s license, she went to get one. But the testing center was packed and there were no chairs available. Her son says a clerk told them there was nothing they could do. 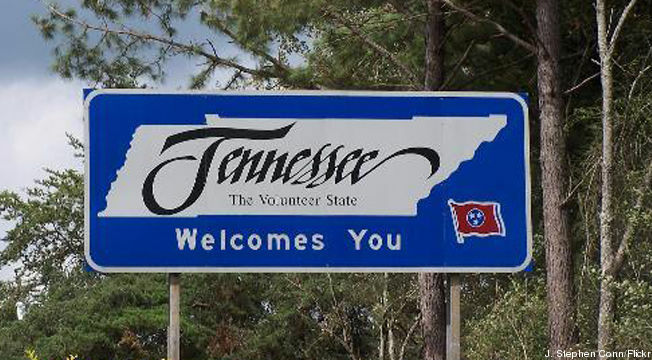 Since Tennessee isn’t covered under Section 5 of the Voting Rights Act, there’s not much the Justice Department can do about the law until after the 2012 elections. Last year, as a 35-year-old vulnerable adult, Jim [Stene]lived in the Clark Lake Home in Brainerd and voted in the 2010 election via absentee ballot on Oct. 29 in the Crow Wing County historic courthouse along with other group home residents. Monty Jensen, Crow Wing Township resident, who was also in the courthouse at that time, said he was concerned by what he saw as voter fraud. On Nov. 1, Jensen filed a complaint with Crow Wing County Attorney Don Ryan’s office. In his affidavit, Jensen said he witnessed what appeared to be staff members from a group home filling out a client’s ballot and verbally instructing a client who to vote for during absentee balloting. In March, Ryan said what Jensen observed was somewhat substantiated but he didn’t have evidence of a crime beyond a reasonable doubt. 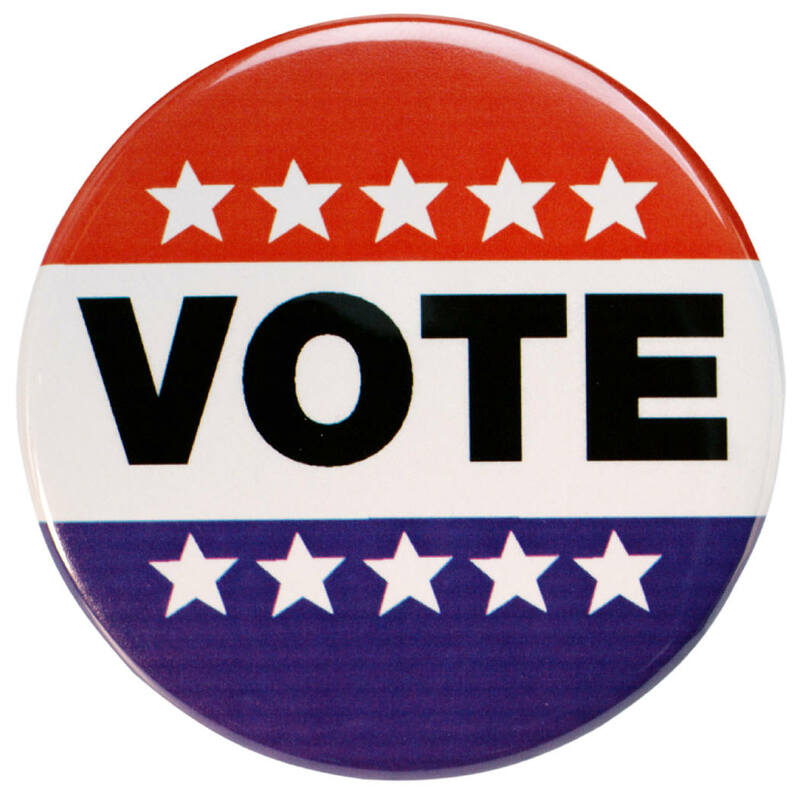 It is legal for people in guardianship status to vote in Minnesota and be assisted if needed. 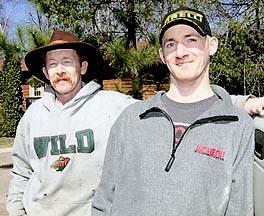 Lynn Peterson, owner of Clark Lake Home, did not return a call seeking comment for this story. On April 26, Al Stene testified before the House of Representative’s Civil Law Committee along with Rep. Mary Kiffmeyer, R-Big Lake, who authored a bill this spring regarding changes to voter eligibility requirements, including those directed at people placed in guardianships. The allegations of voter fraud were taken by some as a partisan issue. Stene has maintained that is not his focus.